This is A-State Connections on KASU. I’m Johnathan Reaves. This is the weekly segment called “A-State Connections and Create@State: Making Connections That Count”. 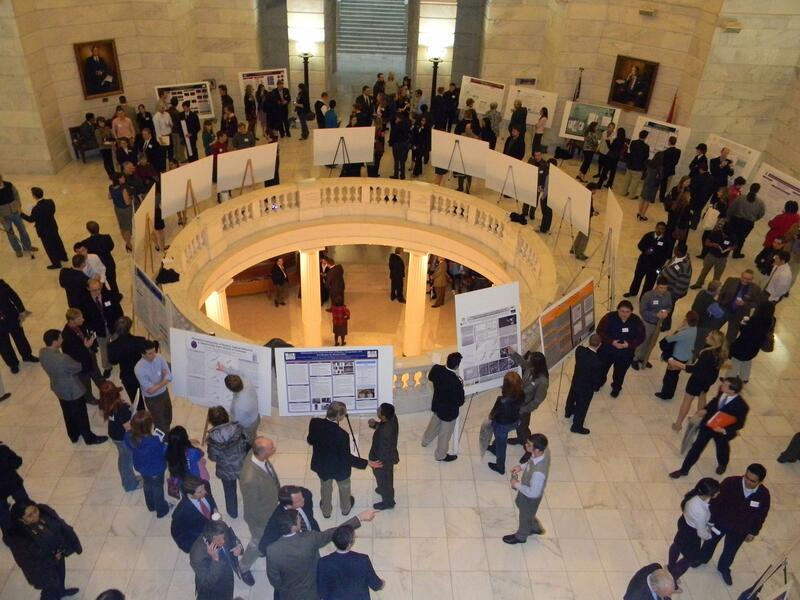 The annual STEM Posters at the Arkansas Capitol takes place in Little Rock on February 20. The event allows undergraduate students from colleges and universities across the state to participate in showing off their research on posters to the public, especially to state lawmakers. Arkansas State University will be sending students to this event. Telling us more is the founder of the state event Dr. Patrick Desrochers. He is a Professor of Chemistry and Department Chair at the University of Central Arkansas. Emily Devereux is the Executive Director of Arkansas State University’s Research and Technology Transfer. Desrochers joined the interview over the phone and told more about the event. Click on the Listen button to hear the entire interview. Emily Devereux is the Executive Director of Arkansas State University’s Research and Technology Transfer and Dr. Patrick Desrochers is Professor of Chemistry and Department Chair at the University of Central Arkansas. STEM Posters at the Arkansas Capitol takes place on Wednesday, February 20.